Celsius B-max boiler with 200 kW pellet burner - Celsius a takarékos energia - fűtés rendszerek akár 5 év garanciával. 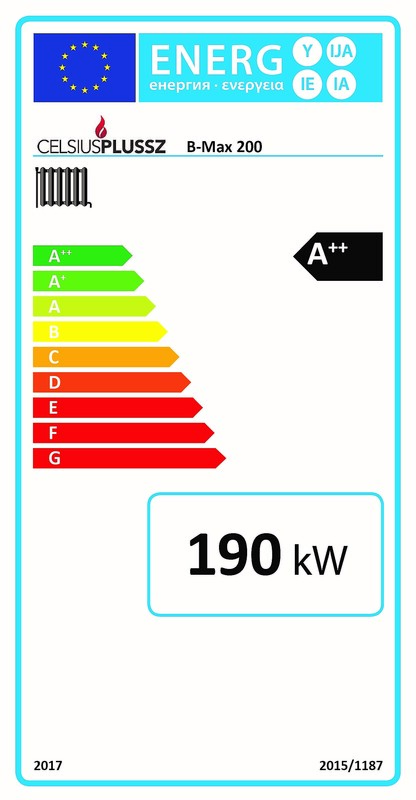 Celsius B-Max boilers work only with wood pellet (DIN+ quality, 6 – 8 mm diameter). 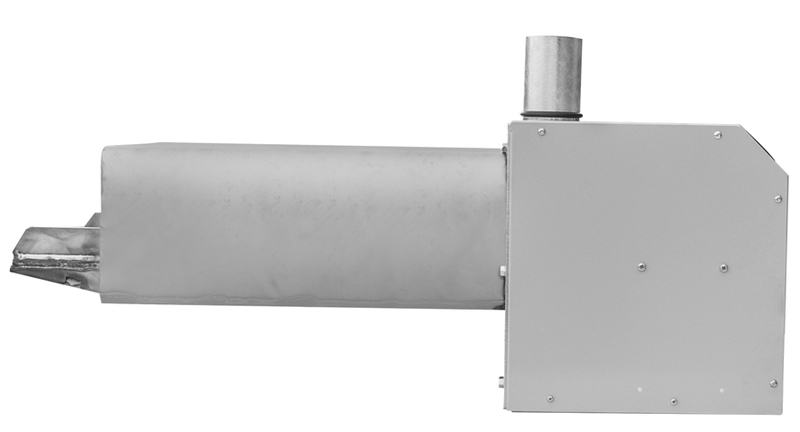 These boilers are adaptable to any different heating system (from radiator to floor). It is similar to a wood burning boiler but it's much more economical. The wood pellet boiler works very efficiently with layered air insulation steel door. It has low maintenance needs and serves you for a long time. Fire place of wood boiler is high quality with 5 mm thick steel inside and 3 and 4 mm (300 – 500 kW) thick steel outside. Heating water runs between inner and outer sheet of steel and in exchanger in upper part of the boiler. The boiler is made with laser cutting, steel folding and appropriate brace between the inner and outer sheet of steel by welding. After the welding it gets two pressure tests on 4 bar pressure. There are 3 control doors on the wooden pellet boiler for easy maintenance. The door is produced from 3 sheet of steel for proper insulation. Between the boiler’s body and the doors there are heat-resistant strings for insulation. The upper door is for exchanger cleaning. The middle(adapter) door’s purpose is to connect the boiler with the pellet burner, the lower is to remove the ash. 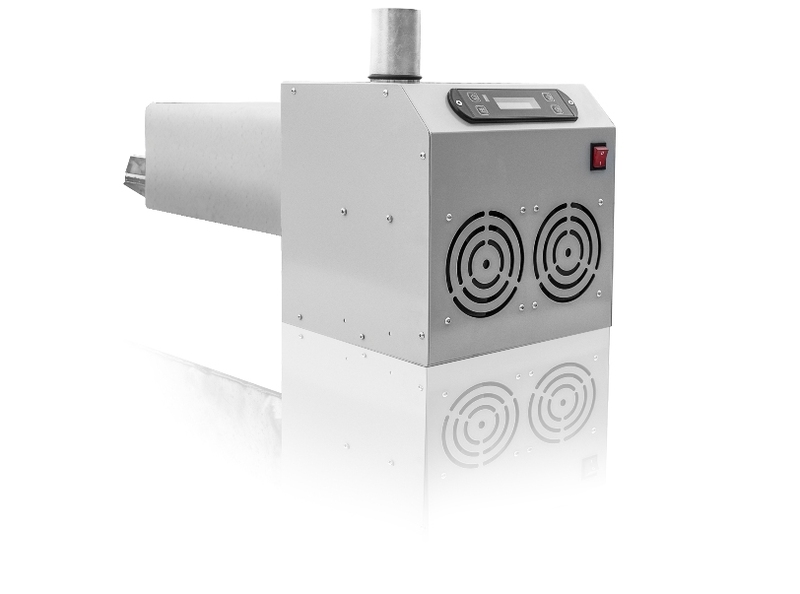 The temperature of the passing smoke is already low due to the efficient exchanger system. The boiler body has a 30 mm thick insulation. The external shell is 0,8 mm thick steel sheet and the doors are painted by electrostatic powder coating (with RAL 9600 painting) for aesthetics. The door shutters are made with bakelite handle against overheating. Bmax Technology burners have an innovative self-cleaning system which works on regular intervals: with this system the fuel grid is periodically freed from possible residue that could interfere with the correct combustion or that could induce the suffocation of the flame. In this way, the possibility of the burner shutdown and the consequent dispersion of fumes are avoided. Suitable both for big civilian and small industrial buildings. It is equipped with a screw pump for loading. 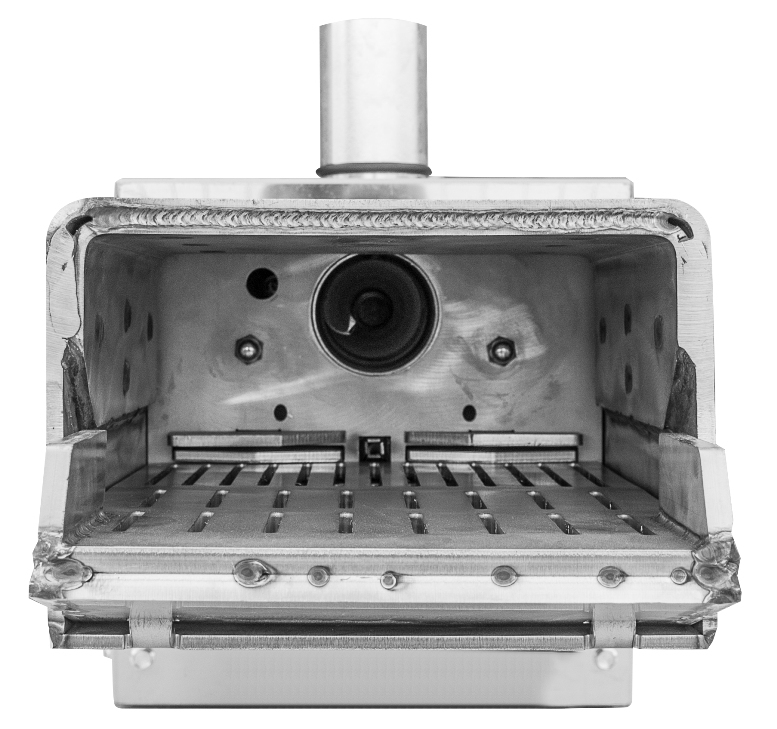 Bmax Technology burners have an innovative self-cleaning system which works on regular intervals: with this system the fuel grid is periodically freed from possible residue that could impede correct combustion or that could provoke the suffocation of the flame. In this way, the possibility of the burner turning off and the consequent dispersion of fumes are avoided. Bmax Technology burners are equipped with automatic loading system.